We use a creative curriculum system. This allows us to offer developmentally appropriate programs that support active learning and promote the children’s progress in all developmental areas. Teachers have social interactions with them, observe their play behaviors, and perform one-on-one testing. At Shining Stars, we understand that every student learns differently, so we tailor our programs to fit the learning needs of our students. Learn in an environment that encourages curiosity and offers daily opportunities for choice, experimentation and problem-solving. Develop language and literacy skills through activities that promote listening and speaking, vocabulary building, alphabet knowledge, reading and writing. Develop a foundational understanding of numerical and science concepts. Participate in socio-dramatic play activities that help him/her to become socially and emotionally competent. Apply the use of creativity and imagination to the learning process. Learn to appreciate diversity in ethnic, religious and cultural backgrounds. Learning experiences are both child-directed and teacher-directed. 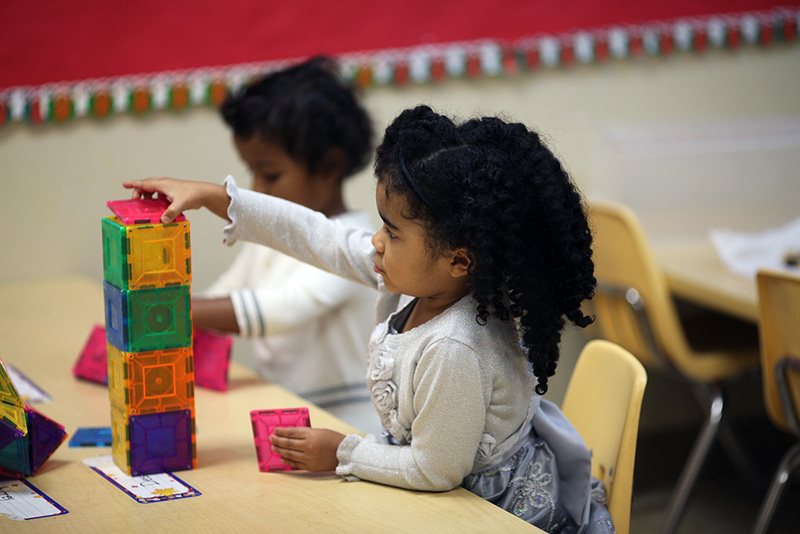 Children participate in a variety of activities in our well-equipped interest centers that offer art, math, music, science, dramatic play, language development, reading readiness and writing skills, and manipulative materials for exploration and problem-solving. Children receive individual instruction in addition to participating in small and large groups activities. In this environment, your child will be involved in meaningful activities throughout the day that promote optimal learning and development. Shining Stars Christian Preschool is united in our commitment to helping every child shine brightly in all areas of child development.